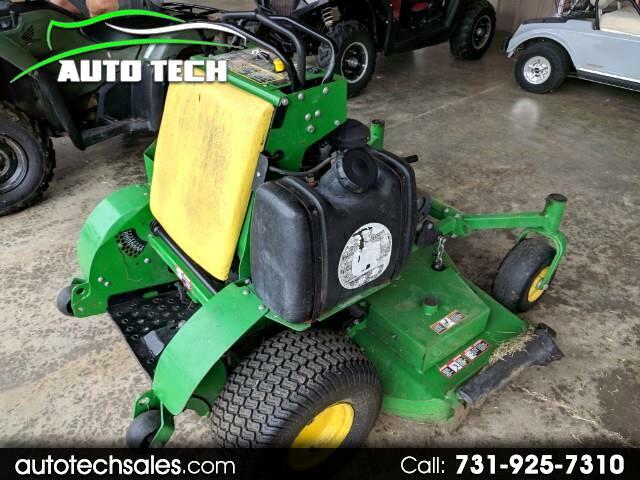 Mow more grass in less time with the 61" mower deck equipped on the John Deere 661R stand on mower. Powered by a 23.5hp Kawasaki engine, the 661R has the power needed to to mower tall, wet, heavy grass without bogging, leaving a perfectly cut lawn. John Deere's 661R is the ideal choice for mowing properties with hill sides and slopes. The low center of gravity of the QuickTrak along with the powerful commercial hydrostatic drive transmission give optimal traction and stability where ever you need to mow. Other benefits of the 661R include an easy to maintain machine with quick access to engine and other components for servicing. Also, the QuickTraks require less trailer space so you can haul more equipment to the job site to further enhance productivity. Message: Thought you might be interested in this 0 John Deere Quik-Trak.